/General /How do I set parameters? 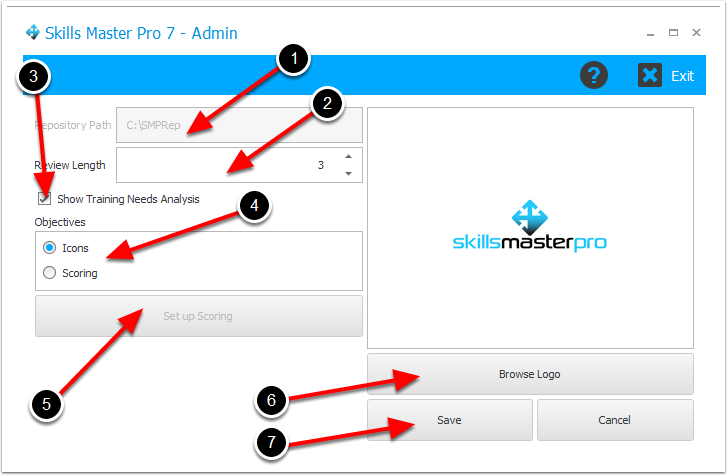 Setting parameters in Skills Master Pro. Applying the required parameter settings. The path to the Skills Master Pro repository. This is the path set at install. 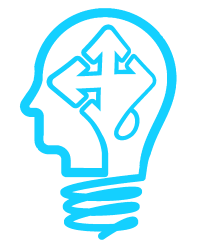 The path should be in UNC format so that all users can access any saved documentation. Set this to the length of time, in months, between reviews. Skills Master Pro reminders use this value to set initial reminders. Check this box to show/include Training Needs Analysis in your reporting. Icons is the default setting and will show Objectives in icon format. Scoring gives the capability to set scoring against an objective. This is explained further in How do I set up Scoring? This button will only be enabled if Scoring is selected. Your logo should be a maximum of 400 pixels wide by 280 pixels high. The logo is copied to the server and should be instantly available.